Telling your parents about the pregnancy and trying to figure out a plan is challenging. 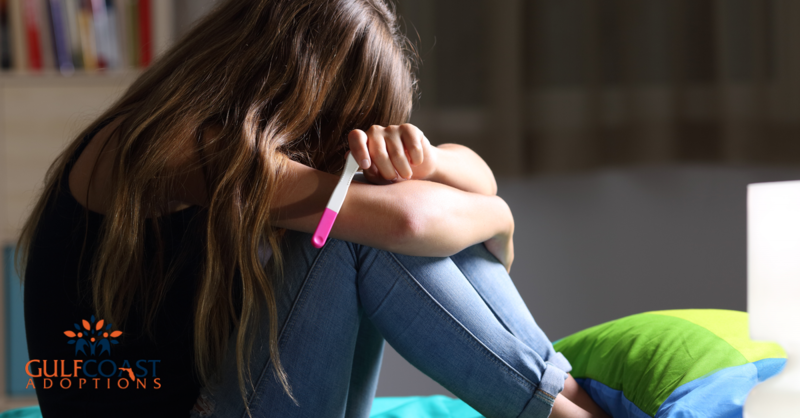 Some teens and young adults who find out they’re pregnant may worry that their parents are going to be angry and upset. They might be worried about their parents being disappointed. If you are truly worried about what they might say or do, you should ask a trusted adult to join you when you give them the news. Before you tell your parents, you need to think about what you’re going to say. This is often best done in a concise manner. Once you tell them the news, you must give them time to process what was said. They might react in a negative manner, such as giving you a lecture or telling you that they’re disappointed in you. When your parents are speaking to you after they recover from the shock, let them talk. Don’t interrupt. They might need time to vent and may even blame themselves for the pregnancy. Try to remember that parents are only human and might just be having a difficult time with the news. Be prepared to answer some difficult questions. You should also be ready to tell your parents how you feel about the situation. Don’t speak in a disrespectful manner, because any type of disrespect might make the situation worse. Prenatal care is very important for pregnant women and the unborn baby. You should schedule an appointment with an obstetrician as soon as possible. Your parents might have to help you to find out what providers accept your insurance. If you don’t have health insurance, there are other options, like finding a clinic that will see you or applying for Medicaid. Be sure to keep all your medical appointments during the pregnancy. You have two primary options to choose from if you opt to continue with the pregnancy. You can choose to keep the baby and raise him or her, or you can decide to place the baby for adoption to allow someone else to raise it. This decision isn’t going to be easy. You might find yourself going back and forth about what you’re going to do. If you decide to raise the baby, be prepared for new challenges. This decision may require you to alter your current work, education and social schedules. Teen parents often are better with the support of their parents or close friends. If you are thinking of this option, discuss it with your parents. Of course, you shouldn’t expect them to raise your child themselves, so be ready for some sacrifices. Choosing adoption isn’t the easy way out. This is a very emotional journey that you will have to deal with. It will feel like a roller coaster at times. If you decide that adoption is the right choice for you, it’s best to contact Gulf Coast Adoptions right away so we can work with you on getting the process moving. One thing you can’t let happen with this decision is allowing someone else to make it for you. If you are 14 years or older, you can sign the adoption papers on your own without needing your parents there. If you aren’t yet 14, a parent, legal guardian or guardian ad litem must also sign the papers. Even if you have your mind made up about what you want to do when the child is born, you might still have some doubts about whether you made the right choice or not. This is normal. It might be helpful for you to write out the reasons behind your decision. When you are having doubts, you can refer back to those. You might have to answer some difficult questions from loved ones and friends. Some people might not understand your decision. No matter what you decide to do, someone will likely have something negative to say to you. Focus on the positives, and remember the reasons you made the decisions you did. Try to establish a good support system. You need people you can count on. You parents might be able to help you if you’re trying to find ways to cope with morning sickness or other issues that come along with pregnancy. You need people you can count on to help you with physical needs but also people you can speak to about emotional matters. If you are considering adoption, contact Gulf Coast Adoptions to find out how we might be able to help you. From assisting with reasonable expenses, such as medical care, to working with you to find the best family possible for your baby, we are here for you.